A quiet and relaxing stay is guaranteed by one of our 110 comfortable double rooms available in Standard and Suite categories *. Each room is equipped with a desk, seating area, satellite TV, Wi-Fi connection, telephone, and bathroom with shower, toilet and hairdryer. Your security is provided by electronic locks, a peephole and smoke detectors. 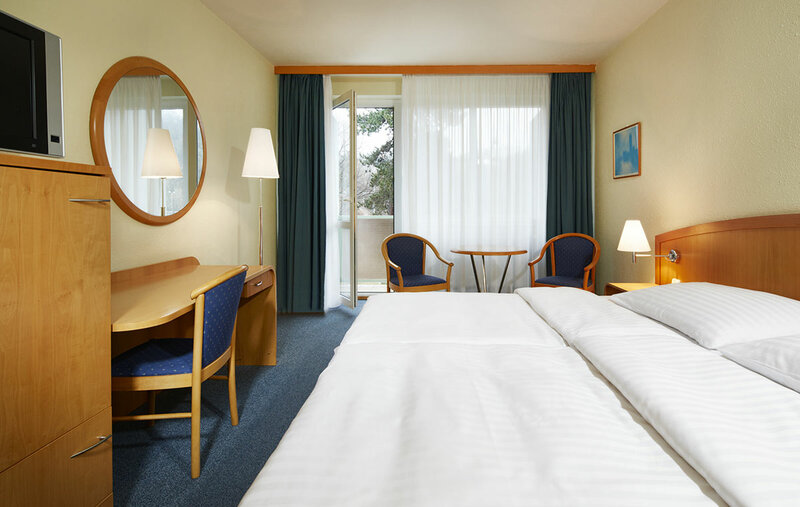 Comfortable accommodation is provided in our standard rooms with 17m2 of living space. 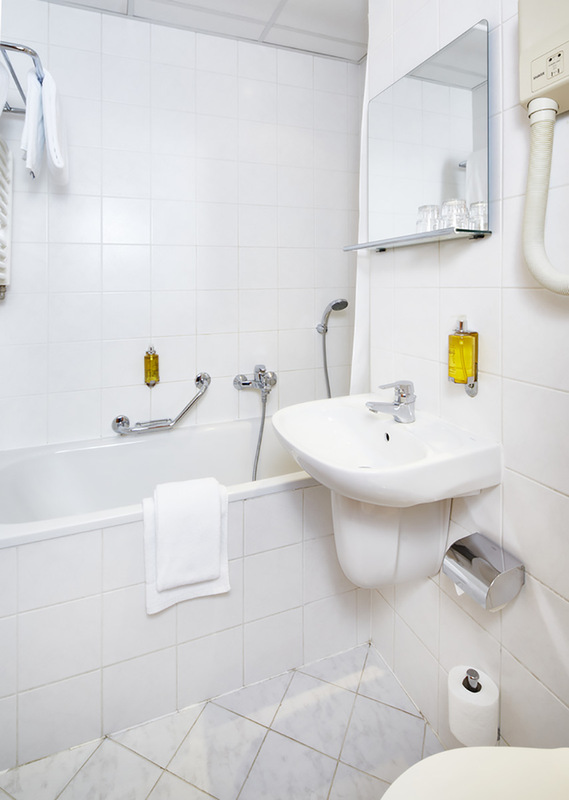 Amenities include satellite TV, telephone, and bathroom with bath, shower, toilet, and hairdryer. Complimentary Wi-Fi is also available. 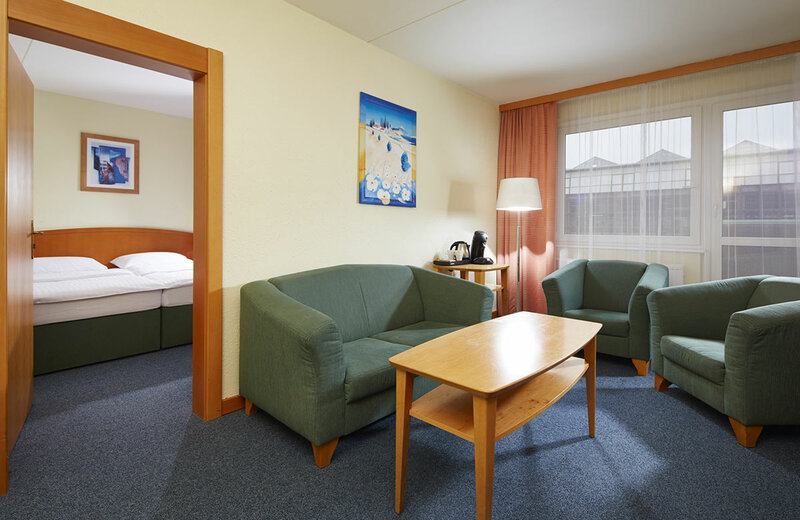 Each room features a bedroom with double bed, and living room with sofa set. Amenities include satellite TV, telephone, Wi-Fi, and bathroom with bath, shower, toilet, and hairdryer. A minibar and coffee & tea set are available in the room at no additional charge. Upon arrival, you will receive complimentary mineral water.